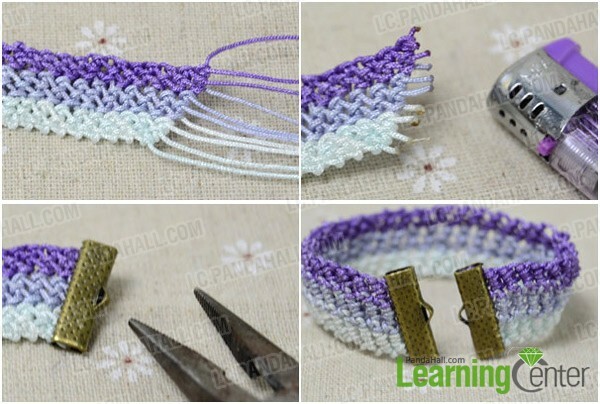 Summary: See this purple ombre friendship bracelet tutorial and learn how to make cool friendship bracelet with half hitch knots for beginners. 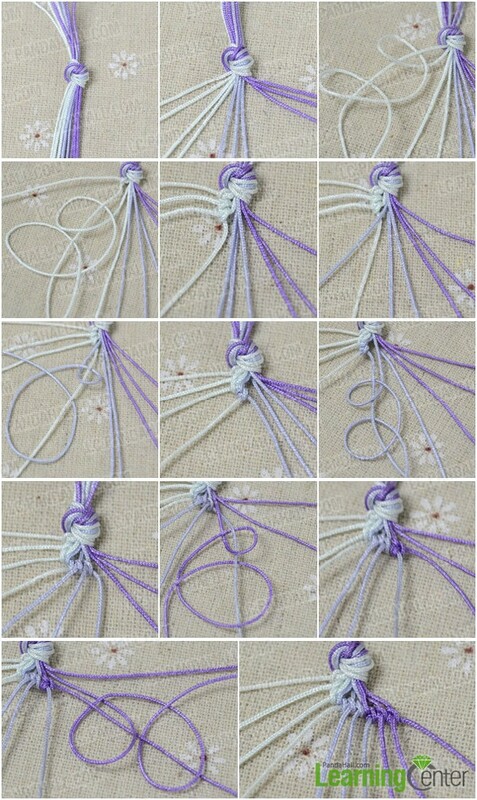 With basic half hitch knots you could make a friendship bracelet with purple threads in ombre style. 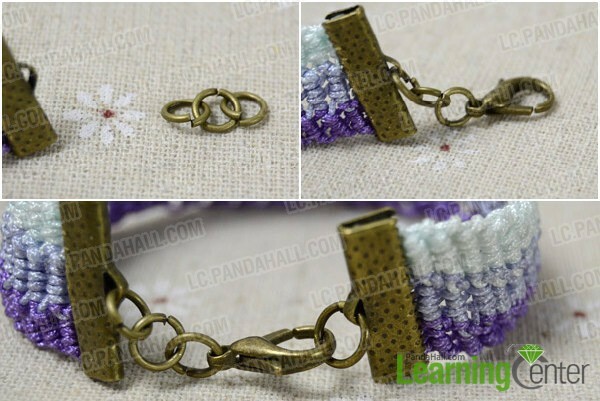 The instruction part will show you details about how to make the cool friendship bracelet for beginners. 9th, so the first row is done. 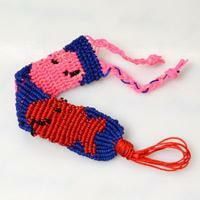 5th, similarly handle it with a ribbon end. 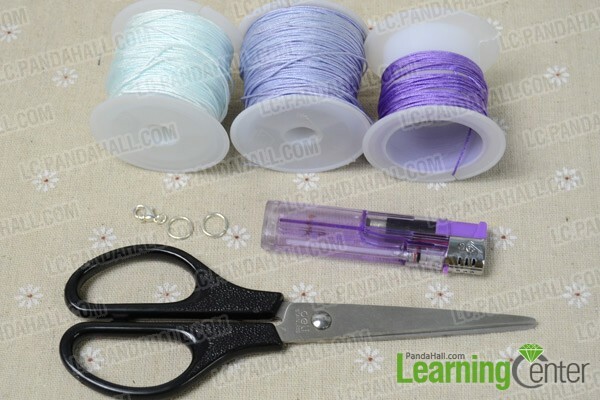 3rd, attach another jump ring onto the other ribbon end. 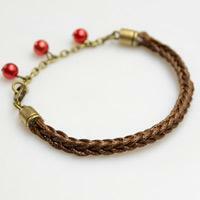 Now I have finished the tutorial on how to make cool friendship bracelet for beginners. 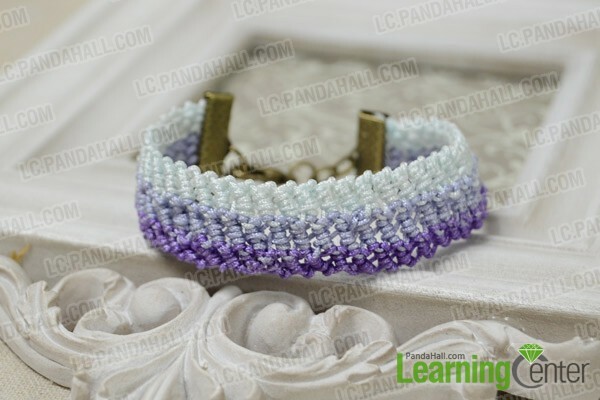 If you are interested in my projects, stay focused on my updates in pandahall learning center.